Welcome to Mission Dance Centre & Company. We are dedicated to bringing the joy of dance and performance to our students through recreational and pre-professional dance classes in Kelowna. Available in CDTA syllabus from MDC’s Apprentice levels all the way to Senior Company levels. year. Special care is given to injury prevention and correct technique. Body alignment and posture are taught with diligence and care. If injury does occur it is handled with special attention and associated professionals are recommended for proper recovery. Castanet work (hand castanet playing) is introduced at the youngest levels of our program as it develops an awareness of rhythm immediately. Students gain the ability to execute dance steps with the required rhythm through Spanish dance steps and techniques. Flamenco style dance of varying rhythmical forms further challenges the dance student to have the ability to perform with rhythmical acuity in any given dance form. This type of rhythmical training from a young age sets up the dancer to be able to pick up any future rhythms in any future style of their advanced dance training. Flamenco dance training also develops a strong sense of stage presence so necessary for any dance style. goal setting – short term and long term, show time preparation, and more. Our hip hop classes involve current styles of urban dance that include conventional moves from the 1970’s and newer video dance styles that involves group formations. Our classes are designed to teach hip hop technique and allow you to develop your own personal style. Hip Hop is fun, exciting to dance and a challenge to learn. Rehearsals are just as important as any other class because students learn and repeat all the step sequences needed for any particular choreography that they will be performing in on stage. Once steps are learned dance students can then train more precisely in technique, style, musicality, quality of movement, character development, etc. Also, teachers are still teaching vital information needed to be known for success and comfort during performance time. Rehearsal time can also be precious personal practice time for the student that may be waiting in between scenes. Here in this type of dance training time they learn how to motivate themselves to keep practicing and focusing on their own personal dance practice needed. Students are encouraged and taught to be proactive, self-motivated, responsible, and independent to repeat steps on their own to improve their dancing within that rehearsal time the student that takes advantage of this sometimes free thinking dancing time will gain more self confidence as their improvement is inevitable. We are here to help you make your dance dreams come true. All staff and Tanya Vadurova-Bakala, our artistic director are very friendly and kind to all students. We are always there to talk to and answer any of your questions no matter how small or important. We love answering all your questions in or out of dance classes. You will be welcomed with open arms. We respect you and your dreams to dance as we expect respectful and kind behaviour back from all our students. We encourage all of our dance students to always support one another be it in classes, performances, or competitions. We do not tolerate negative behaviour or over competitiveness between students. Everyone works at their level and no one is judged by staff or other students. MDC prides itself in the positive and supportive environment that staff and students work hard to nurture everyday we train and meet with others. We welcome anyone who thrives in this type of friendly and supportive environment. Casting for roles is based strictly on hard work in classes, positive attitude towards everyone and their own training, suitability for a role in terms of technique and style, and level achieved for the particular roles. If you have a positive attitude and a hard work ethic and a true desire to dance we do our best to find a place for you in our dance program. providing you are a suitable fit for the type of program you desire. Acceptance is often based on a good and positive attitude among other criteria such as good work ethic, musicality, physical potential, artistry in style, ability to receive corrections and to apply them immediately with mindfulness and mental and physical effort as quickly as you can for your best possible improvement and ultimate success. 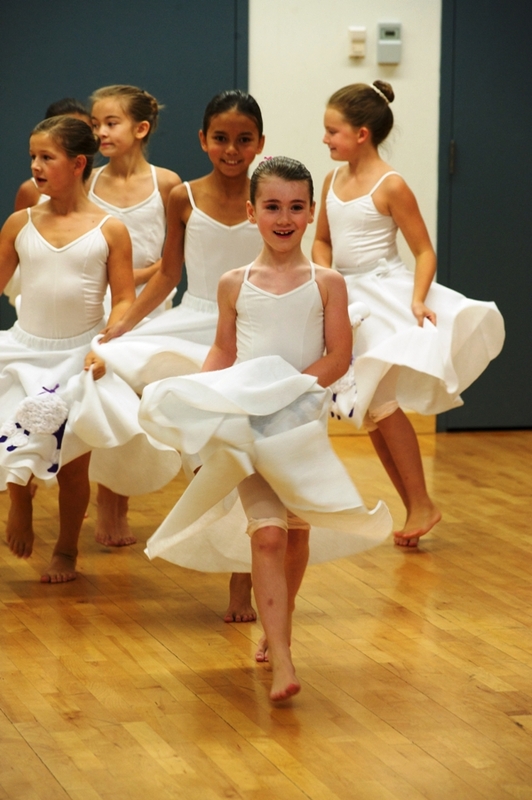 We do our very best to work with you for your child’s success in dance and life skills in general. We take our leadership role in teaching dance seriously as we know every teacher affects the development of a child or person of any age…but, especially the young children as they are so impressionable, vulnerable, and trusting. In every class your child will receive personal attention and corrections within the regular group class trainings for their maximum weekly improvement. They may be given “dance homework” such as stretching (which they will be instructed on precisely during class) or going over some step sequences or personal correction exercises. It is our intention to make sure that each student is keeping up to the average level of the class and should they be ready for more than the average we would notify you to move them up even in the middle of the year if that happens to be the timing of your child’s progress. We also sometimes recommend private classes if we feel your child is missing some vital information and repetition of movement which for some particular reason they missed learning whether by too much absence or lack of focus it understanding during the group classes. At times a private session is vital to a child’s confidence and ability in keeping up with the group comfortably. A private can often alleviate stress of not “getting it”. This support type of training may not come up at all or it may come up once to several times in the year. We do our best to pay attention so no student “falls though the cracks”. We do our best to give extra personal corrections to any student during class time if necessary for their keeping up and sometimes privates are not necessary. There are times when a student is almost ready to move up a level and privates are sometimes helpful or needed in order for the smooth transition of the level advancement to take place. There is sometimes limited studio and teacher availability for privates but we always do our best to accommodate those who can benefit from them.